Savitt is also assisted by the Paul Winter Consort’s cellist Eugene Friesen on a baroque folk/jazz plea “Prayer for Peace” and on the deeply reflective “Final Farewell,” as well as by acclaimed penny whistler David Amram on the expressively minimalistic “Alex at Six” and the celebratory, exclamatory “Alone.” Violinist Susan Mitchell sits in on a single cut, “Blues for The Rev”, which is creatively based on a series of Reverend Gary Davis guitar licks. Reprinted with permission from Sing Out! v.53#2. © 2010 Sing Out! Norman has assembled quite an impressive crew here, and after listening to it, I offered to write him some liner notes. I mainly write about jazz, and I find myself drawn to Norman’s style and vision. He calls himself “a primitive guitar player.” He is that—and much more. I like Norman’s compelling music: it’s a mix of happy and meditative tunes, played with enjoyment, imagination and care, and we are really lucky to hear Norman featured on guitar, along with a handful of his talented friends. These are all friends who graciously offered to play on this CD, and it’s full of beautiful sounds and good feelings. There are 15 unique, original finger-style guitar pieces, some lovely, intimate duos and some played solo. Besides the intriguing music with Norman alone, you’ll be treated to guest appearances on four tunes by Grammy Award-winning harmonica player Howard Levy (Bela Fleck and the Flecktones, Paquito d’Rivera), on two tunes by Grammy Award-winning cellist Eugene Friesen, (Paul Winter Consort). The legendary David Amram joins Norman on pennywhistle on two tracks. Talented violinist Susan Mitchell appears on one tune, and her appearance gives homage to Norman’s gigs with her over the years. And of course, Howard Levy’s notable producer skills give the CD its memorable sound. Thanks to harmonica master Howard Levy for producing his longtime friend Norman’s debut cd and generously playing on four tracks. What a gift to the rest of us who will have a chance to savor this new work! This CD is a pleasure! NORMAN SAVITT & FRIENDS – Contemporary Acoustic Guitar (Balkan Samba 004; USA) Featuring Norman Savitt on acoustic guitar & compositions, Howard Levy on harmonica, Eugene Friesen on cello, David Amram on penny-whistle and Susan Mitchell on violin. I’ve known Norman Savitt for the past decade, and I recall his set of acoustic guitar music here at DMG with affection – it wasn’t very “out”, something anomalous for our Sunday night series. This is his first disc and it is a long time a’coming. He utilizes the talents of a few heavy friends who you should be acquainted with. Harmonica wiz, Howard Levy, is a legendary musician who has played with Bela Fleck & the Flecktones, amongst his many sessions. Howard produced this disc and it appears on his own label. Cellist Eugene Friesen has played with the Paul Winter Consort for many years and modern composer David Amram is well known for a variety his talents, from composing (in varied genres) to playing to working with Jack Kerouac. The first things that stands out is Howard Levy’s superb production, Norman’s acoustic guitar sounds warm, wonderful and enchanting. Listening to “Waterfall”, the opening song, made me smile. It has a superbly melodic presence that just feels right like a fresh breeze on cool Spring day. Howard’s haunting harmonicas add a sublime charm to “Looking Back”, a lovely, melancholy song that I find most soothing. Eugene’s tasty cello does add a rich glow to “Final Farewell”, another somber piece worth washing over us. “Alone” features the heartwarming penny-whistle of David Amram and kinda reminds me of Jorma mixed with Pentangle. There are 15 songs on this fine disc and each one I found to be compelling and quietly engaging. 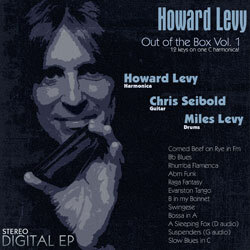 As a longtime fan of Howard Levy, the four tracks that he appears on are even better. For those of us that appreciate great acoustic guitar music, this is indeed a treasure with searching for. 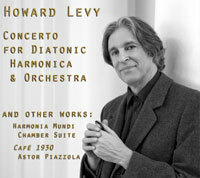 An album in the style of the Windham Hill albums in the 1980s, this album – produced by master harmonica player Howard Levy – showcases Savitt’s talents as both composer and performer. All acoustic guitar with some accompaniment by Savitt’s friends David Amram, Eugene Friesen, Susan Mitchell and Levy himself – we should all have such close talented friends like this group! – this is an atmospheric recording great for just relaxing or just “chilling out”. Each of the songs has a personal story for Savitt but you don’t need to know the story to appreciate the music. He’s based in Brooklyn but the mood comes from spending time on the Hudson River or in New York’s Hudson Valley. The sound quality is excellent and the 15 tracks here will take you away from the busyness of today’s world.